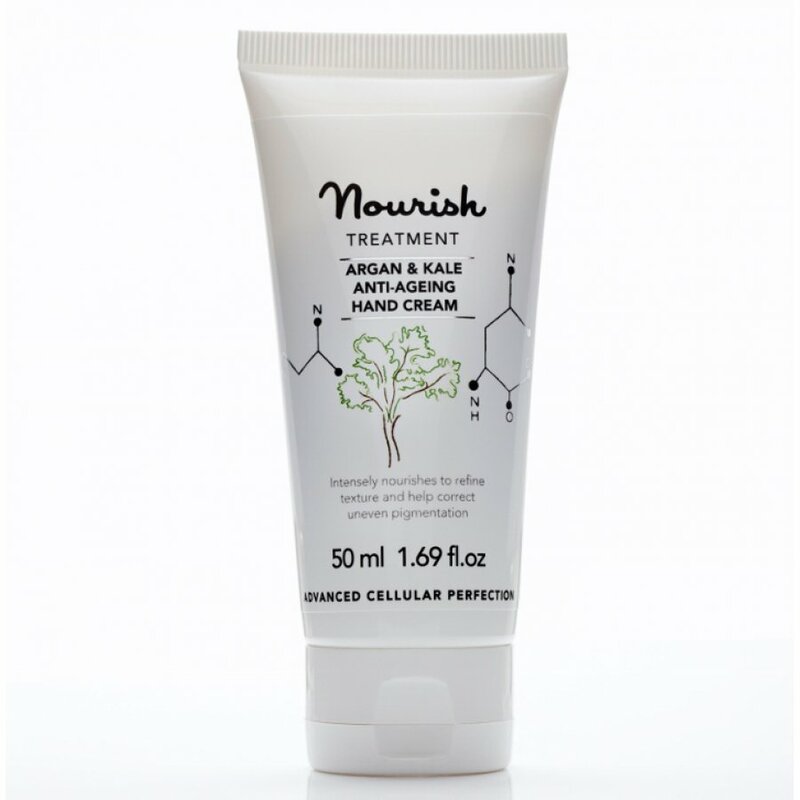 A rich and luxurious organic argan and kale hand cream from Nourish, ideal for dry and sensitive hands. 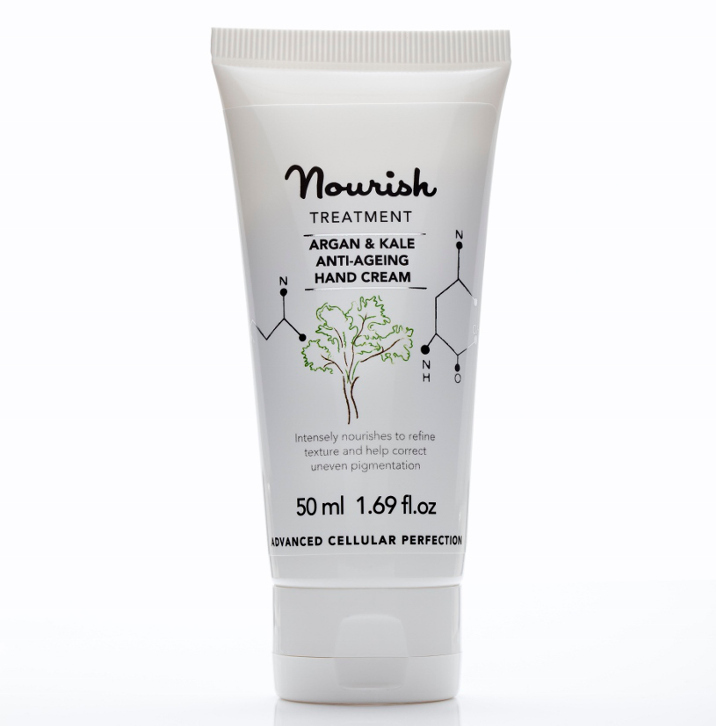 The argan and kale oil extract mixed with unique organic frankincense, Sicilian Nerloli and Myrrh oil will deeply nourish hands, leaving them feeling soft and silky to touch. The bioactives and essential vitamins work hard to support the skins structure, reduce inflammation and lighten dark spots.